Well, it’s not something to fear because it can make the difference between living a wealthy life and one that sees you stuck on a hamster wheel struggling to make ends meet. Simply put, a mortgage is the facility that people use when they borrow funds from a lender to buy real estate. But in times past, it was actually referred to as a “death pledge” but it’s not nearly as grim as you might imagine. It’s different from a simple loan, because a mortgage loan is secured by the property itself and that means that if everything goes pear-shaped – which is very uncommon – the lender has more rights over the property than the borrower. If they have failed to make the required repayments, ultimately that means that the lender can repossess and then sell the property to repay the loan, but in Australia that remains a rare occurrence. A mortgage has a number of different components which we outline below. When you have a mortgage, you have legally committed to repaying the loan plus interest and other costs by the end of the loan term, which is usually between 25 to 30 years. 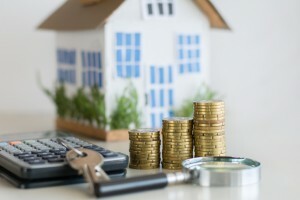 The property you have bought is classed as collateral for the mortgage because real estate generally goes up in value so it’s a relatively safe bet that the lender will be able to recoup its money either when you sell the property, pay it off, or have to sell it themselves as mentioned above. In the world of finance, principal is not the headmaster or mistress of a money school, but it is a vitally important part of the equation, because it is the sum of money that you borrowed to buy the property in the first place. The principal is the amount that you have agreed to pay back, plus interest over the life of the loan or sooner. Interest is the “fee” that you have to pay to borrow those funds, which is usually a percentage interest rate. Say, for example, you borrow $500,000, which has an interest rate of five per cent per annum. That means that $25,000 of your repayments in the first year will be interest charges based on the principal amount. As your principal reduces, the interest you pay will also reduce, so you’re paying more off the loan. 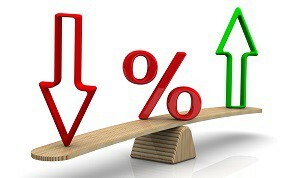 It’s important to understand that interest rates do change depending on various things such as economic conditions. Plus, with most mortgages being 25 to 30 years in length, you are likely to experience periods of low and high interest rates. Lenders require some sort of deposit before they will approve a mortgage on a property purchase. While this figure does change depending on financial conditions, it generally is between five to 20 per cent of the purchase price. 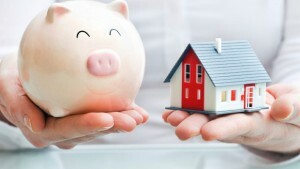 The deposit can be from cash savings, but it can also be drawn from equity in another property. 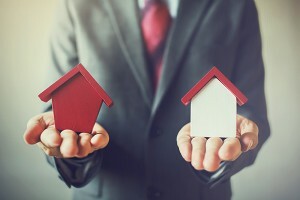 If the deposit is less than 20 per cent, you will generally have to pay Lenders Mortgage Insurance (LMI), which is a policy that protects lenders against borrowers who default on their home loans. This fee does vary depending on how much deposit you have, as well as the State or Territory where the property is located, but it can be useful for first home buyers as it helps them get into the market much sooner than they could if they tried to save a 20 per cent deposit. LMI can also generally be capitalised (added) on your mortgage, too. At the end of the day, there are only two ways to pay off a mortgage. One is to pay off the principal and interest components over time – which can be the life of the loan or more quickly if you make extra repayments. The other, of course, is by selling the asset at some point in time. Whichever strategy is the right one for you, you will eventually have to reduce the debt on your loan to pay the lender the back its money. You can use our suite of calculators to work out what the principal and interest repayments might look like for you. As we said at the outset, mortgages can seem a little scary because they are a commitment of 25 to 30 years. However, mortgages are a vehicle to improve your financial position by investing in assets that generally grow in value over time while the principal you borrowed stays the same. For example, say you bought a house for $600,000 and borrowed $500,000 from a lender. After 20 years, the property has increased in value to $1.3 million, yet your mortgage has been reduced to just $150,000 because you’re been making principal and interest repayments. Of course, that means that you have equity in the property of $1.15 million! That is the power of using other people’s (meaning the bank’s) money right there in action. Can you comfortably make the monthly mortgage repayments, especially in the event that interest rates change? Are you confident that your financial status (job, health, family situation, etc.) 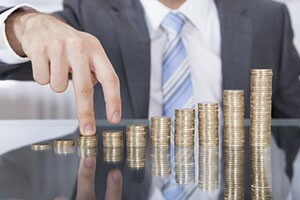 will not adversely impact your financial responsibilities over time? There are a number of different mortgages available these days, with specialised products for different types of buyers. At Intuitive Finance, we have access to hundreds of financial products from dozens of lenders that suit every type of buyer from upgraders, investors, expats, home builders, guarantors, and first home buyers. 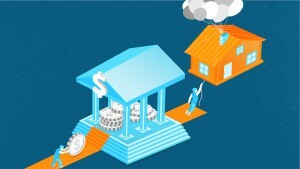 This loan typically offers lower interest rates, but fewer features than a standard variable loan. You often have the option to pay for any additional feature required. As it is a variable loan, interest rates and repayments will vary throughout the loan term as rates change either up or down. Under a fixed interest rate loan, the interest rate is fixed for a specified period, usually between one and five years. This loan gives you the certainty of knowing exactly what your monthly repayments will be as well as peace of mind knowing the repayments won’t rise. However, the downside is that you won’t benefit if rates go down during the fixed term. This type of loan combines the security of a fixed rate home loan and the benefits of a variable loan. A split loan allows you the freedom to choose how much money you assign to each loan. Common split loan ratios are 50/50, 70/30 or 60/40 with one portion fixed and the other variable. A line of credit loan provides you with access to the equity in your home or investment properties up to a pre-approved limit. You access the funds as you need to, plus the interest rate on a line of credit loan is usually a variable rate and repayments are interest only. A 100% offset loan is very similar to an all-in-one loan. Rather than putting all your salary and other income into your loan, it goes into an offset account that is directly linked to your home loan. Any balance in the offset account is 100% “offset” against your home loan. This reduces the amount of interest you have to repay, making your money work harder for you. The interest rate varies throughout the loan term. These loans generally offer excellent flexibility, low fees and often offer features such as an offset facility, redraw facility, no limits on additional repayments and in most cases, no early pay-out penalties. Intuitive Finance has a 100 per cent approval client rating and has helped thousands of Australians improve their financial futures. No matter what type of borrower you are – a first-time buyer or investor, a property upgrader, a sophisticated investor, or you’re self-employed or an expat living overseas, the experienced team at Intuitive Finance are perfectly placed to help you create wealth-building strategies that work.